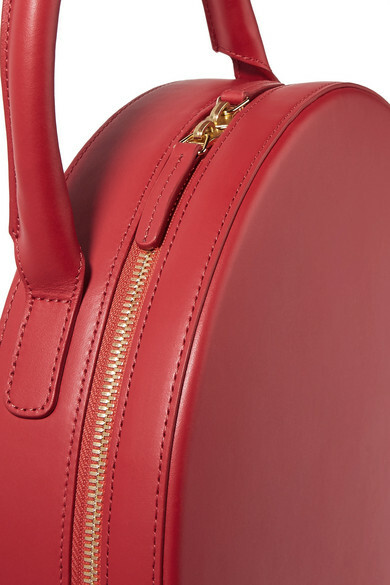 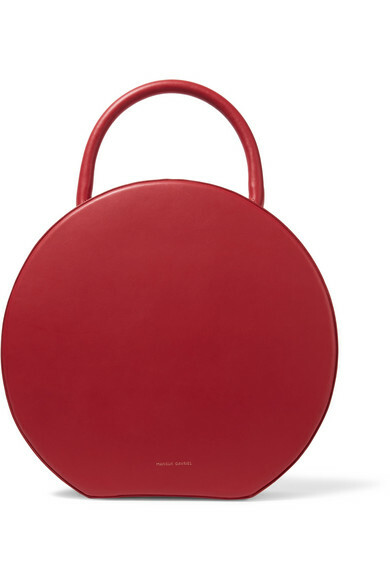 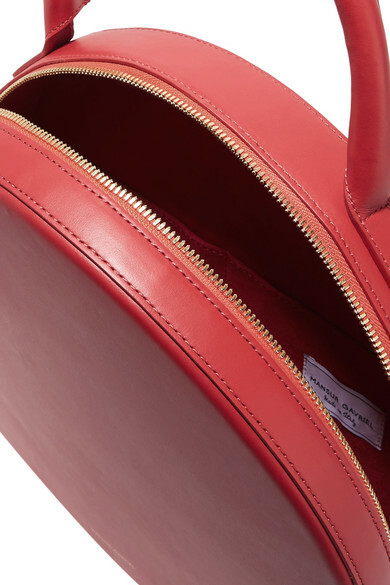 Mansur Gavriel's 'Circle' tote is made from drum-dyed leather that's been coated with a protective layer to preserve the rich red hue. 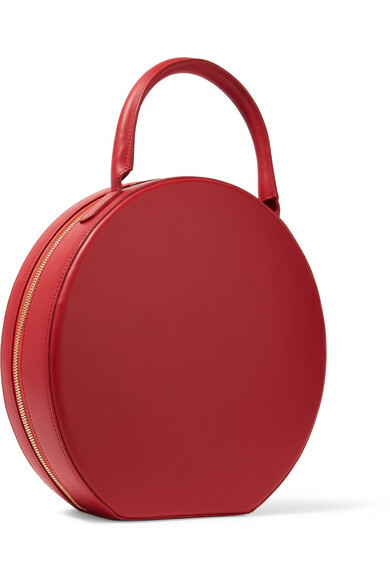 The suede-lined interior is fitted with a wallet and can comfortably hold your cell phone and keys alongside some cosmetics and a pair of sunglasses. 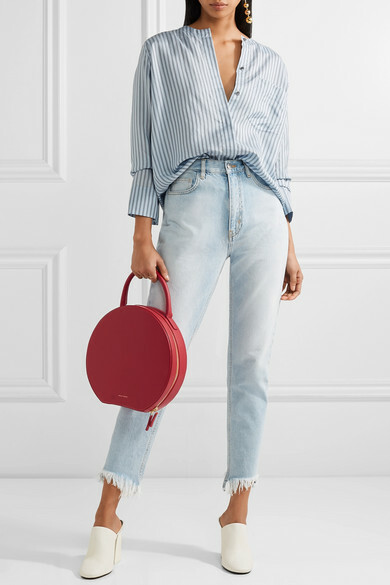 Shown here with: Vince Shirt, M.i.h Jeans Jeans, Mercedes Castillo Mules, Kenneth Jay Lane Earrings, Isabel Marant Rings.